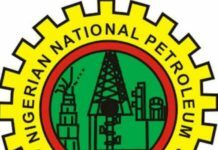 The Group Managing Director of the Nigerian National Petroleum Corporation, Dr. Maikanti Baru, has described the Nigerian Gas Processing and Transportation Company (NGPTC), a subsidiary of the NNPC, as an entity that is primed and well attuned to deliver its vision to be the natural gas processing and transportation company of choice in Nigeria. 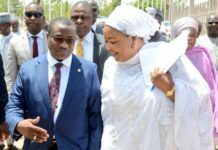 Speaking on the sidelines of the 2017 Annual General Meeting of the Company, Dr. Baru who also functioned as the chairman of the AGM enthused that the Corporation was relying on the NGPTC’s competence to deliver the 614km Ajaokuta-Kaduna-Kano (AKK) gas pipeline project. The landmark endeavor which has been dubbed as the single biggest gas pipeline undertaking in the country is to be constructed through third party contractor financing and construction model with almost $3bn dollars of foreign direct investment coming into the country. He said apart from the AKK project, the company was also busy putting together new pipelines like the OB3 projected to come into operation later in the year alongside other significant gas pipeline projects across the length and breadth of the country designed as an integral part of the bigger trans-Nigerian gas pipeline system. 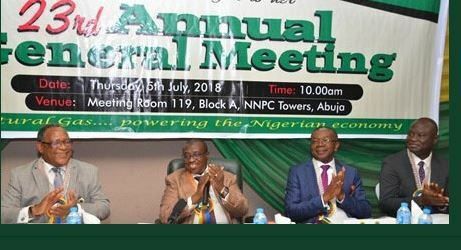 The NNPC GMD commended the management and staff of the company for recording a profit after tax of N6.11 billion in its first year of operation under the new structure which has seen the company refocused solely on gas transportation. Chief Operating Officer Gas and Power and Chairman of the NGPTC Board, Engr. Saidu Mohammed, said the NGPTC was focused on consolidating on its strength and grow to bigger levels, noting that by 2019 the company would have leapfrogged into the big league with most of its ongoing gas infrastructure projects coming on stream. Mr. Babatunde Bakare, Managing Director of the Company, said the 2017 AGM result mirrors the corporation’s resolve to align with the prime objective of the Federal Government to harness the nation’s gas resources for the overall benefit of the Nigerian economy. 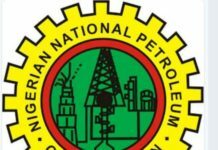 The Nigerian Gas Processing and Transportation Company Limited, formerly known as Nigerian Gas Company (NGC), is a fully-owned subsidiary of the NNPC. It was incorporated in 1981 and commenced business in 1988. However, NGC was split into two companies – the NGPTC and the Nigerian Gas Marketing Company (NGMC) – in 2016 with the NGPTC mandated to focus on processing and transporting natural gas domestically and to the export nodes. The NGMC handles gas distribution and marketing. In the year under review total revenue generated from gas transmitted stood at N72.7billion translating to 292.91 billion standard cubic feet of gas as against the planned 429.92bscf thereby achieving 68 .13 percent of its target. Profit before tax was N6.75billion while profit after tax came to N6.11 billion within the period.